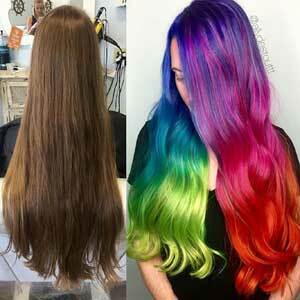 Allyson Destout of Soleil La Vie Salon & Spa in Kettering, Ohio, shares her hair color formula for this neon rainbow design, as well as a little bit about herself. What are you up to right now in terms of your career? I'm an independent contractor, manage my own business and am blessed with a full clientele. What do you attribute to your quick success? Aside from working hard and focusing on my skills as a colorist and cutter, I credit social media, which has has benefited my career in every way imaginable. It inspires me on a daily basis and the networking opportunities are invaluable. I've also gotten nearly all of my clients from social media-especially Instagram. It's an amazing tool for growing all stylists' business. What is your favorite thing to do behind the chair? Vivids! 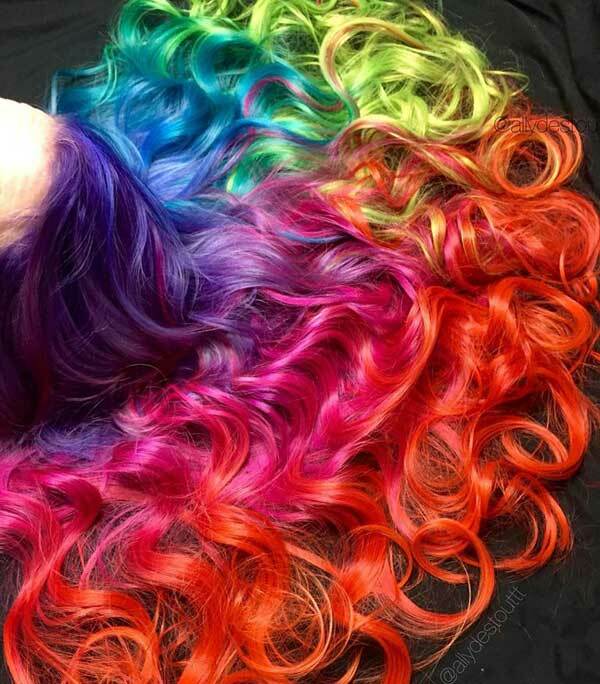 It's so satisfying to create a clean slate and see the bold colors light up the hair. 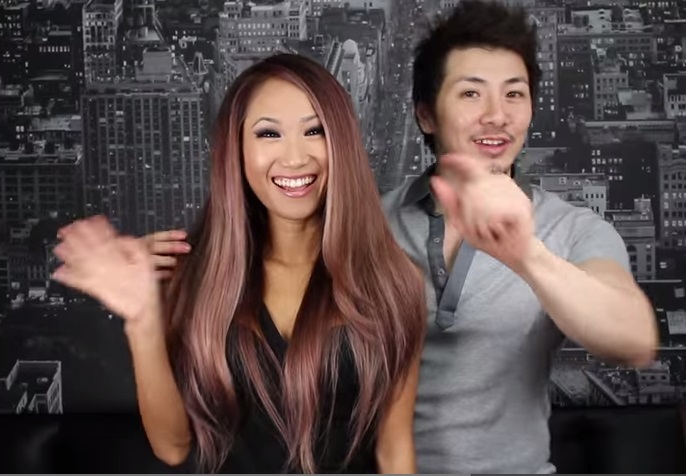 Would you like to share a vivids hair color tip? Yes! 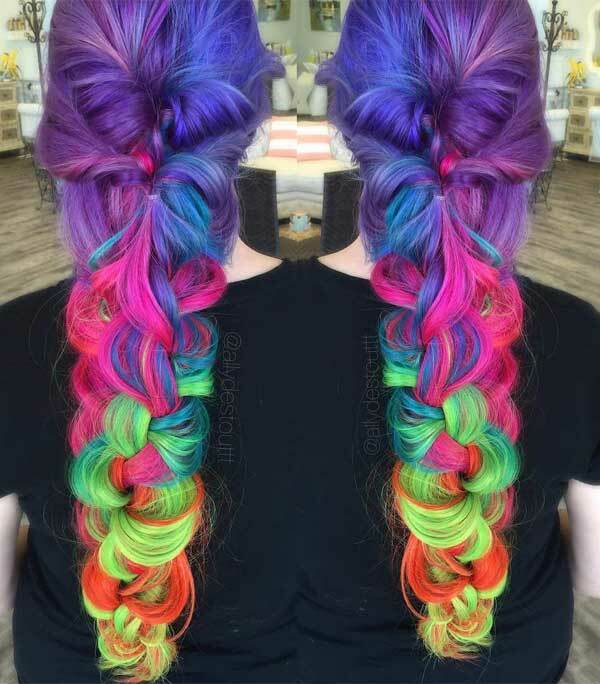 I believe it's important to try every color line. I use Pravana, Manic Panic, L'Anza Vibes, Joico Color Intensity, Kenra Color Creatives and others. Being knowledgeable with several vivid lines will help you to always create the perfect shade. 1. 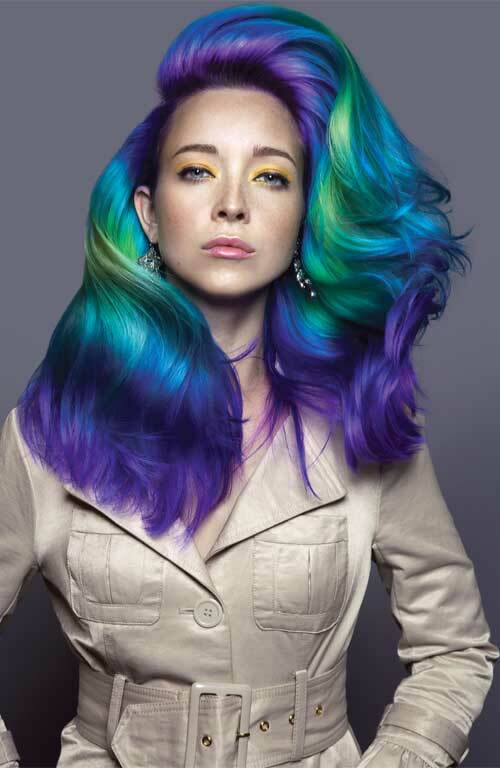 Decolorize the entire head with 20-volume bleach (Matrix Light Master) to level 9. 2. Tone all over with Wella Color Charm T18 (lightest ash blonde). 3. Split the hair in a diagonal, down the middle. 4. Red half of hair: Melt Manic Panic Purple Haze to Hot Hot Pink to Psychedelic Sunset. 5. Blue half of hair: Melt Manic Panic Ultraviolet to Atomic Turquoise to Electric Lizard. 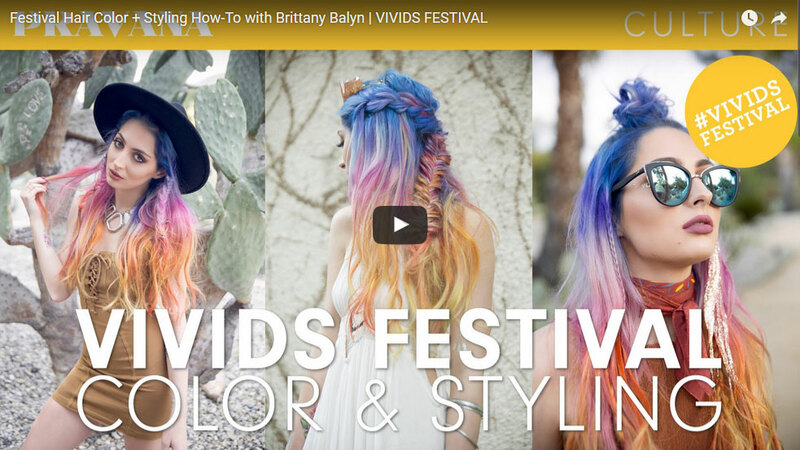 Using PRAVANA VIVIDS, guest artist and celebrity colorist Danny Moon creates a Sahara Sunset-inspired hair color design on beauty vlogger Brittany Balyn.